DAVID LE/Staff photo. 4/30/15. 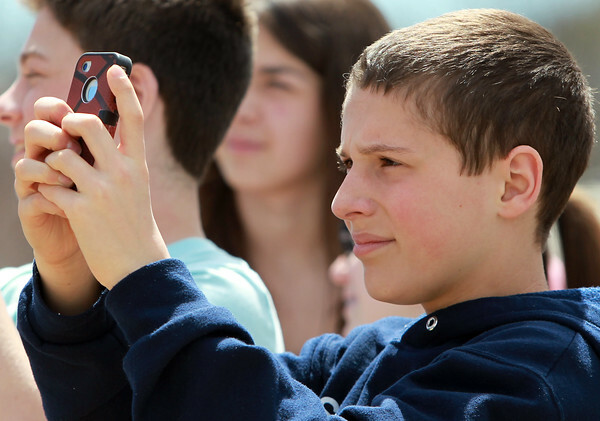 Higgins Middle School eighth-grader Ben Winters takes a video on his phone of a beam being raised into place on the new Higgins Middle School during a short ceremony to mark the halfway point of completion for the new school building.